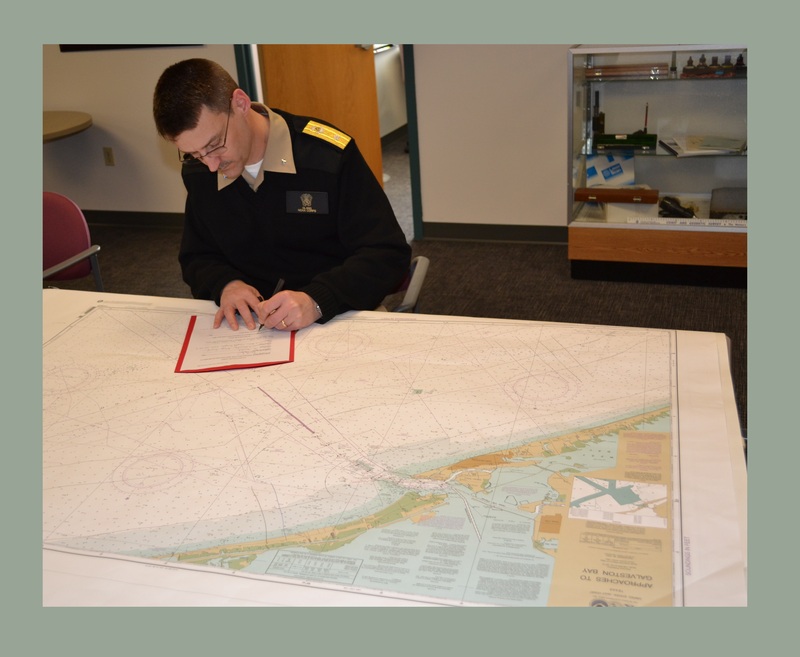 Rear Adm. Gerd Glang certifies Williams & Heintz Map Corporation as a new print-on-demand chart agent after inspecting the company’s sample chart. Williams & Heintz Map Corporation, a specialist in map printing, production, and folding is pleased to announce that they are now certified to print the National Oceanic and Atmospheric Administration Print-on-Demand Charts, (NOAA POD Charts). NOAA has authorized Williams & Heintz Map Corporation to sell NOAA’s paper nautical charts that are printed when the customer orders them — or “on demand.” The information on the charts is still maintained by NOAA, and the charts are corrected with Notices to Mariners up to the week of purchase. 36 lb. JCP E-50 Chart Paper genuine 50% cotton nautical chart paper, the same kind of paper as the lithographically printed charts, that mariners are accustomed to. Williams & Heintz Map Corporation has been printing maps for entrepreneurs, government agencies, and map publishers since 1921. They combine industry leading knowledge and customer service with the highest quality pre-press, printing, and folding. Additional information about Williams & Heintz Map POD Charts. The paper charts sold by the NOAA-certified printing agents meet carriage requirements for ships covered by Safety of Life at Sea regulations, specified in Title 33 of the Code of Federal Regulations. All charts sold by NOAA-certified agents are NOAA charts, and fully meet navigational standards.